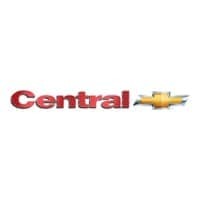 Why Buy From Central Chevrolet? If you like the Kia Soul, Mazda CX-3, Nissan Juke, Jeep Renegade, Fiat 500x, Honda HR-V, or the Buick Encore you will love the 2019 Chevy Trax. Central Chevrolet makes every effort to present information that is accurate. However, Central Chevrolet is not responsible for any errors or omissions. Picture may not represent actual vehicle. Dealer installed options are additional. Price includes All rebates to dealer. MSRP $23,795. Leases figured with $0 down payment and 10,000 miles per year. Tax, title, registration, doc, and acquisition fee extra. Not all will qualify. Must be GM lease loyal or competitive lessee. **With approved credit. Terms may vary. Please verify any information in question with Central Chevrolet by calling us at (413) 781-3400 or by visiting us. *Central Chevrolet makes every effort to present information that is accurate. However, Central Chevrolet is not responsible for any errors or omissions. Picture may not represent actual vehicle. Dealer installed options are additional. Price includes all applicable rebates to dealer, some vehicles require dealer source financing. May include GM lease loyalty, competitive lease or Costco discount. Not all will qualify. $1,000 trade assist is included on trucks and $500 trade assist for all cars, must trade 2009 or newer vehicle to qualify. Tax, title, registration and doc. fees are not included in vehicle prices. **With approved credit. Terms may vary. Monthly payments are only estimates derived from the vehicle price with a month term, % interest and % down payment. Please verify any information in question with Central Chevrolet by calling us at (413) 781-3400 or by visiting us. $2,000 MINIMUM TRADE TOWARDS ANY NEW 2018 CRUZE OR MALIBU Ends: 4-30-19 See Offer NOW!